Acne scar treatment depends on the type of acne scarring present. There are multiple treatments with varying effectiveness, but the best depends on the kind of scarring. We have combinations of treatments including laser scar removal, TCA cross, subcision, dermal filler & radiofrequency resurfacing. Lasers for acne scars include resurfacing with Erbium laser or CO2 lasers. 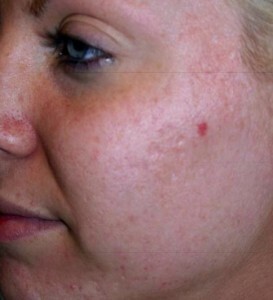 Often radiofrequency treatment such as Secret RF, Infini and eMatrix are lumped under lasers for acne scars. However, these are not lasers. List of Acne Scar Removal Options. 1. Laser treatment for acne scars. Fractional CO2 laser resurfacing, ablative Erbium laser. 2. Radio-frequency (RF) for acne scar removal– Secret RF and Infini combine radiofrequency with skin needling and has mostly surpassed the eMatrix. eMatrix, however, is especially useful for young scars with residual acne. 3. Subcision acne scar treatment. In clinic procedure to release tethered scars. 4. Dermal Filler. Most versatile acne scar treatment which gives immediate results and often combined with subcision. 5. Peels for Acne Scarring and TCA cross. Superficial Chemical Peels do not affect acne scars; you require more specialised peels to give efficient collagen remodelling. 70 – 100% TCA Cross is a beneficial deep acne scar treatment. 6. 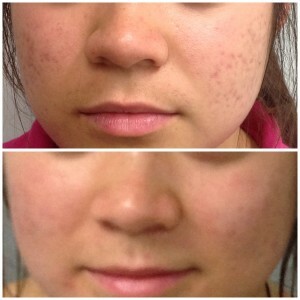 PRP acne scar treatment. Collagen stimulating effect, more efficient than needling, often used in combination with other therapies. 7. Needling. Skin needling is an old acne scar treatment, though it does have a therapeutic effect. 8. Microdermabrasion. Microdermabrasion does not affect repairing acne scars. The rule with acne scar treatment is to address the more profound injuries first. So releasing tethered and ice-pick scars with subcision or other surgical means. Then moving onto laser treatment for acne scars or radiofrequency microneedling with Secret RF depending on the dominate lesions. Lasers for acne scars include fully ablative lasers like Erbium which are useful for treating boxcar scarring and fractional CO2 which gives an overall improvement in skin texture and quality. CO2 laser penetrates deeper and provides more tightening. However, you will often require a combination of treatments with a laser for acne scars. 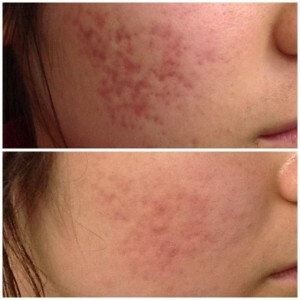 The Fraxel 1550 acne scar laser is OK, but other lasers provide a much better result. Dermal fillers are the most versatile treatment for acne scar removal, and when combined with subcision are excellent for treating atrophic, rolling and tethered lesions. This process releases and raises the injury. The results are instantaneous; there is no downtime, except for occasionally bruising or swelling. Subcision involves introducing a needle under the skin, moving this under the tethered scar and breaking the bonds. Subcision is used to free the surface and result in instantaneous raising up. Subcision and TCA cross can be combined. Sometimes surgical excision of scars is required. Often referred to as laser treatment for acne scars, radiofrequency uses a different energy source. The eMatrix sublative radio-frequency uses pins that rest on the skin and energy pulsed into the dermis. It does not penetrate the skin but works on heat energy creating a controlled dermal injury. The thermal energy breaks down scar collagen and stimulates fibroblasts to produce healthy collagen to plump up the skin for acne scar removal. Healthy collagen is particularly useful for new acne scars as it treats both acne and scarring, and prevents formation. Secret RF and Infini have largely replaced eMatrix as they combine skin needling with radiofrequency. Secret RF is an ideal alternative to laser treatment for acne scars. Though the CO2 and Erbium remain standard gold laser for acne scars. 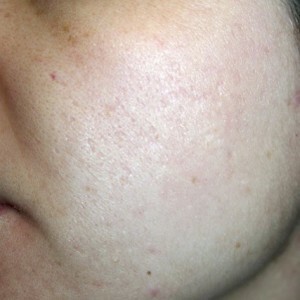 EMatrix is very useful for early acne scars where there is residual acne. However, Kleresca acne treatment is replacing this because it settles severe acne and prevents scar formation. TCA cross is a 40 – 100% TCA solution that is typically applied using a toothpick or fine needle. It is used for ice pick scar where the tether lies deep in the dermis. The TCA breaks down the scar collagen and stimulates new collagen production. Pitted scars and enlarged pore are also treated with TCA cross. Healing takes 4-5 days, and the process of collagen replenishment occurs over weeks to months after treatments. As stated at the beginning most acne scar removal requires combination treatments. These can include lasers scar removal such as fractional lasers, radiofrequency and a wide range of other treatments. Our Doctors have a passionate interest in scar revision. So it is best to come and have your skin assessed at the outset to determine a scar revision plan for you. Call us on 3350 5447 to book an assessment with our Doctors or email any questions. Acne scarring is divided into categories, and an accurate assessment is required to develop a treatment plan. It is important to use direct and indirect light to observe facial expression and to feel the quality of skin before making a scar revision plan. Broadly speaking there are atrophic (scooped out) and hypertrophic (raised) types of scars. 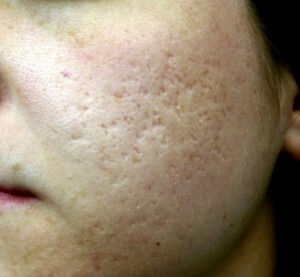 Most acne scarring is atrophic. Atrophic means there has been a loss of collagen in the underlying dermis, appearing as an indent in the skin. Indirect light angled across the skin highlights atrophic scars. These injuries require increasing collagen production under the affected area or dermal filler into the dermis to return smooth skin surface. Laser scar removal with CO2 laser is not indicated, however radiofrequency skin needling does help. Tethered scars are attached to the underlying muscle. So when you animate, the scar pulls to the attached site. 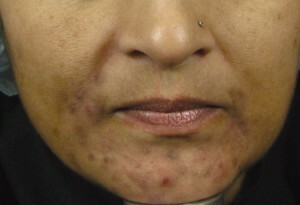 Tethered acne scarring requires surgical procedures such as subcision. A small thick scar, which is tethered to the underlying tissue. TCA cross or punch excision are treatments for icepick scarring. 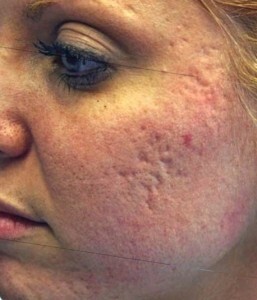 These have indentations and can be treated with laser scar removal, radio-frequency and TCA cross. These are the hardest to treat. They require subcision, dermal filler, radio-frequency needling and fractional laser scar removal with CO2 laser resurfacing.